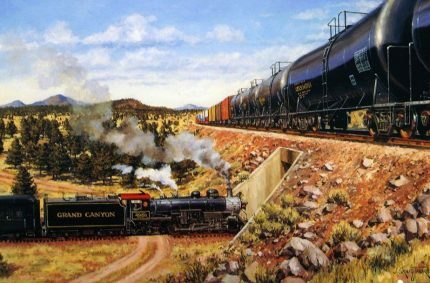 Union Tank Car Co. – Oil-on-canvas 12″x17″ commissioned by union Tank Car Co. Chicago, IL; one of a series of 14 paintings showing the cars of Union Tank Car in various locations around the US. 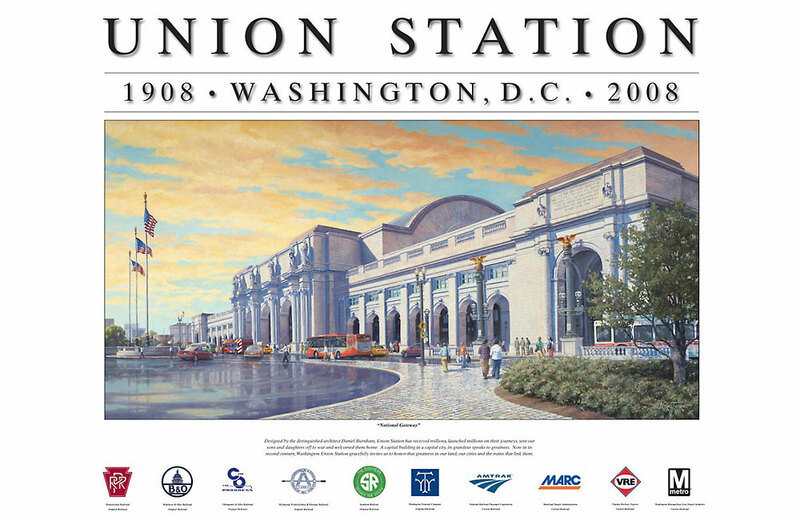 Washington Union Station – Oil-on-canvas 27″x56″ commissioned by Amtrak; Commissioned to celebrate the centennial of the classic Daniel Burnham-designed Union Station. Released as 18″x24″ posters. 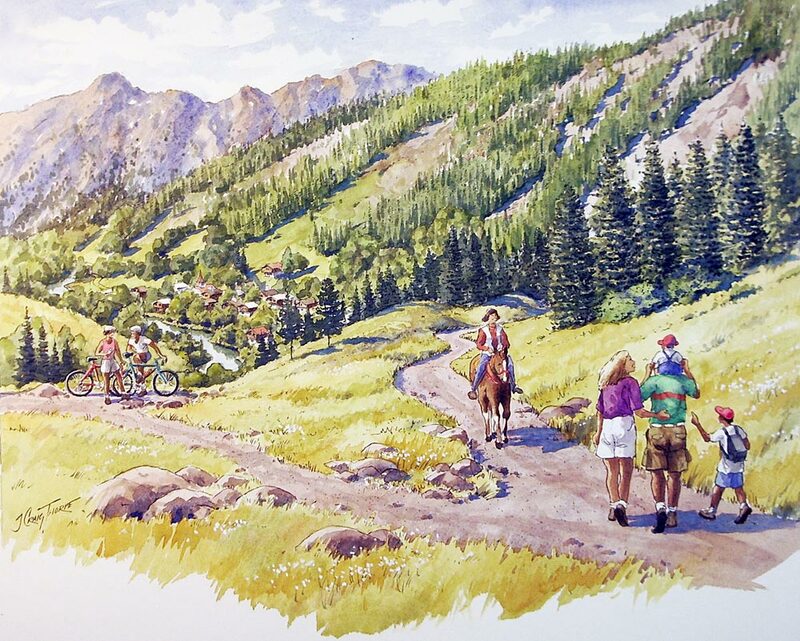 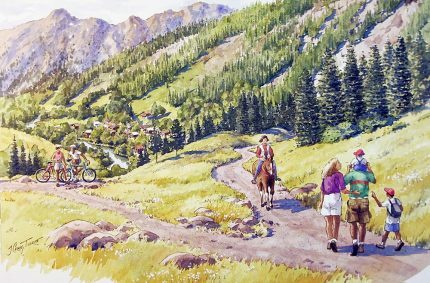 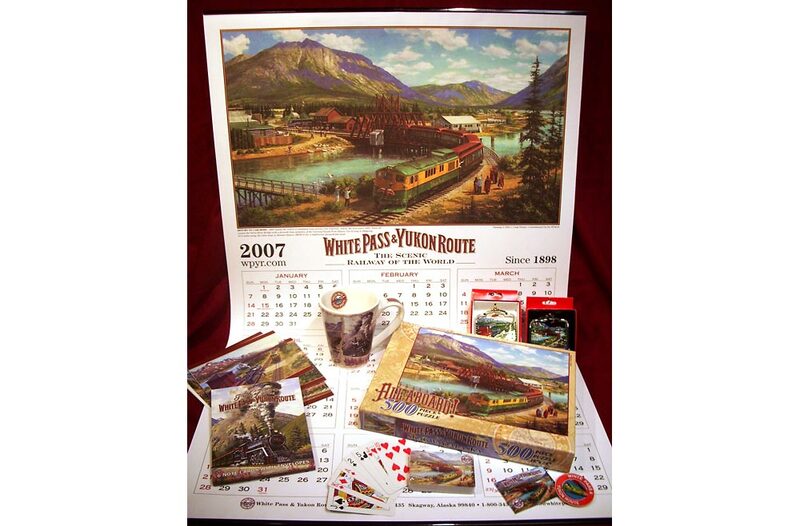 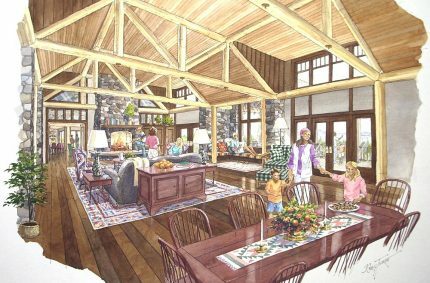 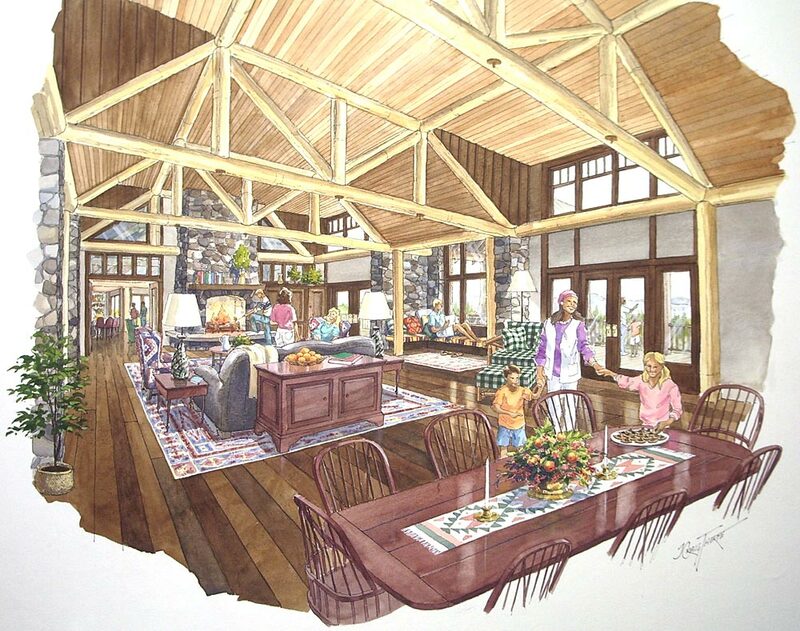 WP&YR products – Shows a sampling of retail products featuring a painting of a White Pass & Yukon Route train in Carcross, YT, Canada. 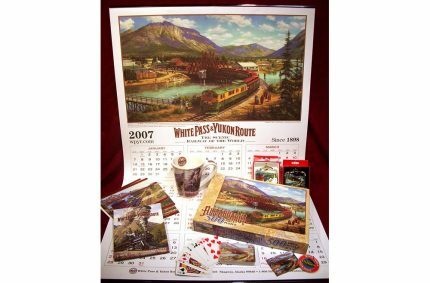 Calendar, mug, note cards, ornaments, playing cards and puzzle. 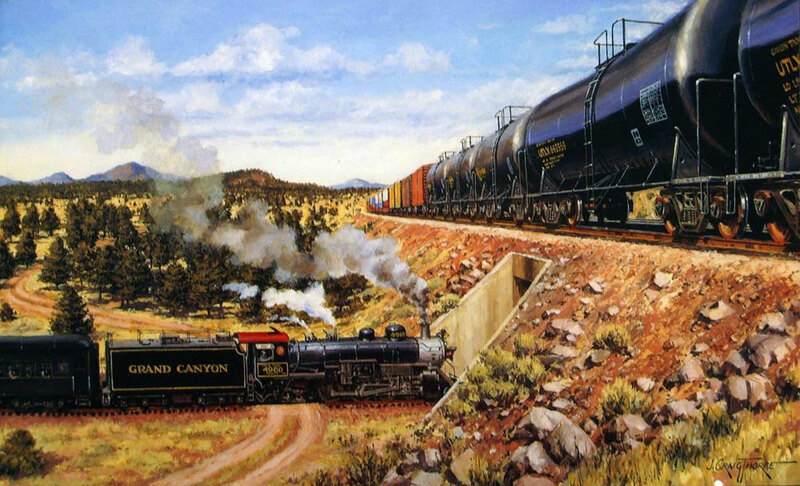 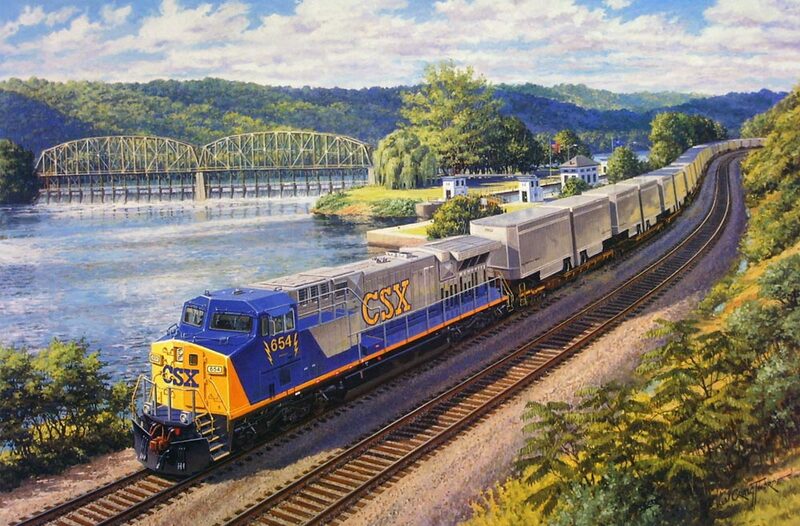 CSX locomotive – Oil-on-canvas 24″x36″ commissioned by General Electric Transportation Systems; Erie, PA; One of a series of paintings showing new locomotives for major railroads. 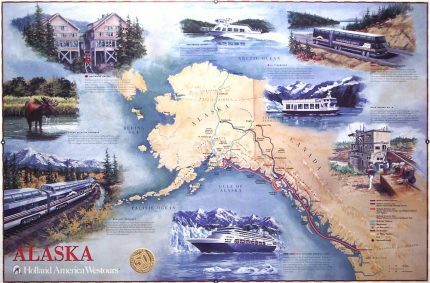 Holland America Line map – Oil-on-canvas 24″x36″ commissioned by Holland America Line, Seattle, WA; Shows the various products and services offered in Alaska; Issued as a wall poster. 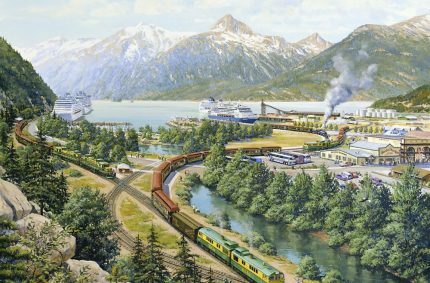 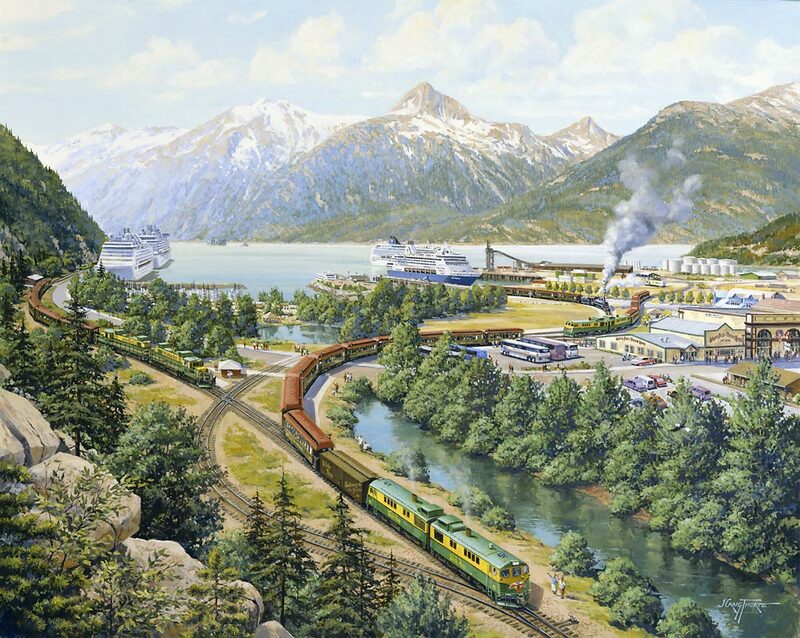 Skagway Port – Mile Zero – Oil-on-canvas 24″x30″ commissioned by the White Pass& Yukon Route, Skagway, AK; used on an annual calendar and for a variety of promotional pieces showing the Port of Skagway.